>_What are we going to do : We will change some of the important file formats like( exe, cpl, bat, msc, mp3 , mp4 , flv or any other of ur choice) into txt format. >_ What will happen : Whenever ur friend will open any file with the above mentioned extensions for example suppose if they open any video file of format mp4 it will open as notepad and they will never be able to play that. Step 1 : We need to access ur victims/friends machine at least for 10 minutes. 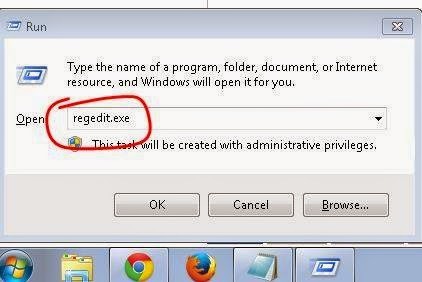 Step 2 : Type regedit.exe (registry) in run prompt of the victims machine. Step 3 : Now you are on the Registry window -> Click on "HKEY_CLASSES_ROOT" and search for the extension you want to change. 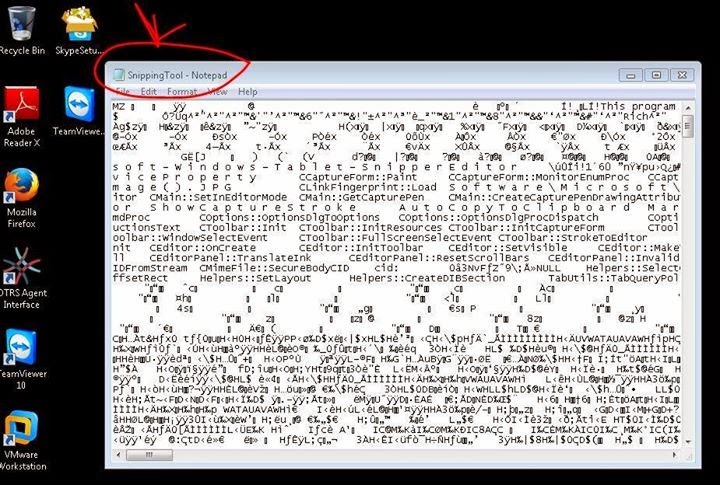 Here we are changing any executable file (.exe) to text file(.txt). Similarly you can also change of you own. 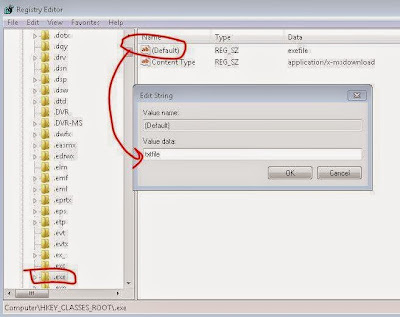 Step 4 : Click on the file format(.exe) -> On the right side their is "Default" -> Right click Modify -> It might be written as exefile change it to txtfile,similarly if u r changing any mp3 file change mp3file to txtfile. -> Click on OK and we are done. 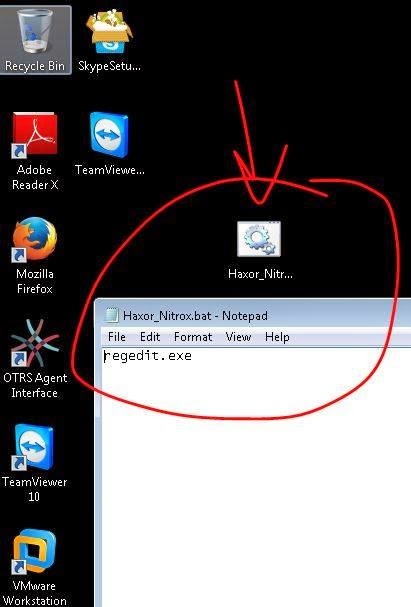 Step 5 : Now try to open any .exe file(Here I tried opening Snipping tool), it will open in text file(Notepad). Enjoy !!! There are 2 ways to recover it back. 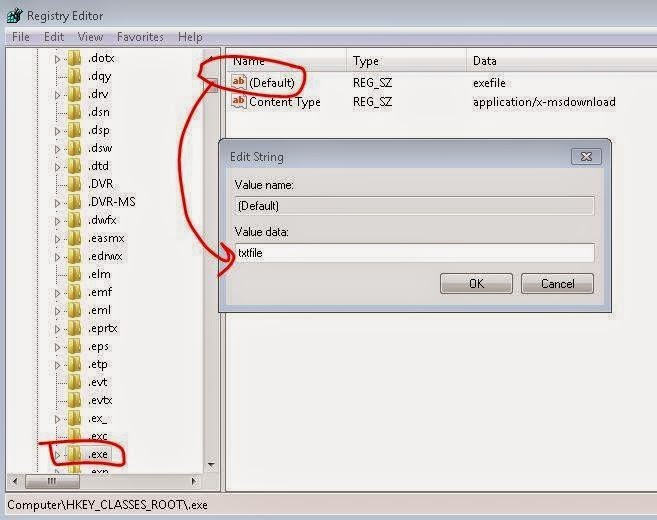 (a) Create a batch file ( file with extenstion .bat) and write regedit.exe inside that file. Double click on it ur registy will open again now you can change the format.